Actors and Directors will be added over the Summer. 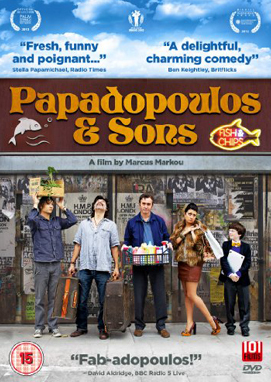 DIY filmmaker Marcus wrote, directed, financed, produced and self distributed indie favourite Papadopoulos & Sons. Sam has just won the 'Best Script Award' at the British Urban Film Festival for 'Liverpool 81'. He is currently directing and starring in forthcoming superhero TV series 'The Few. I have come away inspired, energized, and equipped with a whole load of new tools both for writing and for pulling off the tricky business of selling my skills as a writer. Angela is enjoying a successful and varied acting career working in Film, TV, Music Video, Radio and Theatre. Actress with a wide emotional range and a flare for comedy. 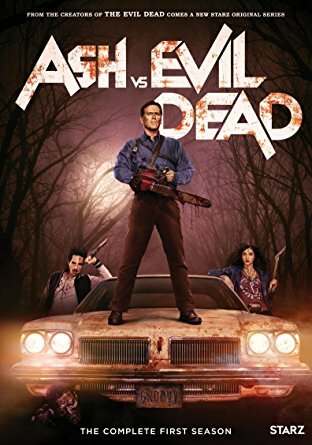 As well as acting I write and produce my own shorts to act in. Recent credits include touring internationally with A Clockwork Orange; Hollyoaks & short-film The Widow's Last. Former Teacher, Present Artist, Future Oscar Winner. English /German bilingual Actress. Currently rehearsing for "Three Sisters". Latest credits" Muppets Most Wanted"
Award-winning leading actress, chameleon-classic ability, other-worldly, magnetic power, precise, detailed and funny! Lisa loves new writing and recent work includes the recent film 'Letitia Drowning' and the music video 'Kunte Kinte'. Films include Shaun of the Dead, 28 Days Later, London to Brighton and FAQ About Time Travel: TV includes Krakatoa. Strong, versatile and confident actor - graduated from E15 in 2006 at the age of 50. Naturally RP but great with accents. Experienced in Film/Television/Theatre/Mocap/Voiceover. Loves strong drama + great characters. Avid 'yogi' and maker of homely Persian cuisine. Performer of improv comedy and acting graduate of Royal Central School. Known for roles in BBC Netflix's 'Peaky Blinders', BAFTA winning BBC show 'Old Jack's Boat' & starring in forthcoming superhero show 'The Few'. Great natural actor with on screen charisma. Natural comedy bones and a penchant for dramatic realism. 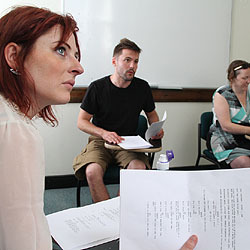 SIMON BALCON trained at Drama Studio London and the Actors Temple. Most recently he appeared as Greg in The Other Half. I'm a young, Welsh actress trained at ArtsEd. In rehearsal for Macbeth with Butterfly Theatre. Saving Private Ryan, Brideshead Revisited, Colditz, Spectre, Little Dorrit. A versatile actor with a flair for comedy.